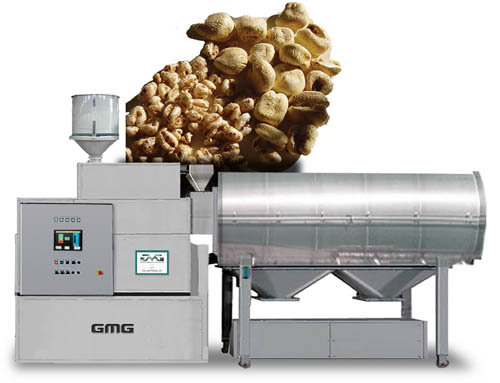 Cereal puffing machine for the expansion of all kind of cereals (wheat, rice, corn, barley, oats, oats rings, etc). Expansion principle is based on a cereal precooking and subsequent compression by steam. - fully automatic - continuous process - product collection inside the expansion chamber Capacities from 20 to 400 kg/h. Single machine or complete plant.